The Anniversary Collection stems from the oldest perfume tradition. 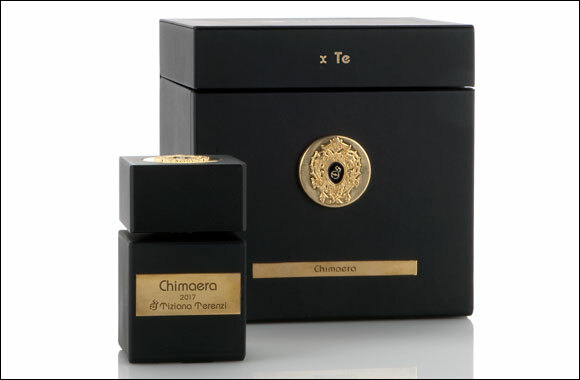 An innovative stylistic challenge that wishes to give perfume its original scent. The selection of high quality and rare raw materials only allow a limited annual production. Each precious bottle is catalogued with the year of production. The recipe itself remains the same although, each year, it gets the sublime touch of nature. For this reason, each bottle will be a unique and collectible piece. This unforgettable journey starts in a sail boat in the Gulf of Fethiye, known in history as the 'land of light and fire', stopping at the amazing and surreal Olympus, where, from the heart of the mountain, huge tongues of fire are released and are visible even from the sea in the warm summer nights. Like Phoenician sailors, transported from Maltemi, we headed on toward the ruins of the Lycian civilization, between untouched coves and pine-covered hills reach down to the sea, surrounded by slopes covered in thyme, sage, bay trees and rare, almost extinct, G�nl�k, 'Incense trees' that perfume the air in a breathtaking explosion of colors and essences. A scent of wild and lush nature, both sweet and warm at the same time, emphasized by the intense smell of melted caramel that comes from small camps at the foot of the mountain. This fragrance reverberates in the air and is reflected in the blue of the sea, passing by the ruins of the ancient city to reach the lighthouse at Cape Gelidonya, which stands alone in a place full of history and legends. 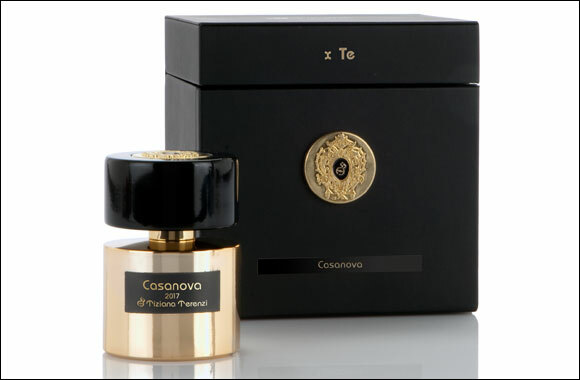 The tensions and attractions of this combination of elements, fire and water, have been captured and enclosed in a perfume extract made from rare and precious natural raw materials. The most romantic stop on this wonderful journey is Venice, where the fire of seduction still burns in the fireplaces of the beautiful eighteenth-century buildings, mysterious villas of undiminished charm, frequented by the famous Casanova whose presence can still be felt, if you pay proper attention to small signs. The memory of a winter's evening during the famous Carnival in Venice, inspired by a mysterious and ethereal Muse, the City of Doges. The night's air seeped in perfume, heated by the scents of bonfires that light up the streets and Piazza San Marco. A dance of sensory emotions, accompanied by a beautiful and mysterious Lady, her face hidden by a precious golden mask, like the bottle that contains this valuable and secret essence. Letting yourself be overcome is your only defense in the face of such persuasiveness. This perfume tells of places of beauty and seduction, through its complex and fluctuating structure, which is entrusted to the rare and precious ambergris. A subtle journey through a city that inspires love and eroticism, through the paths described by Casanova in his memoirs: memories of amorous adventures with the stunning backdrop of a city so ethereal that it lives floating on water. 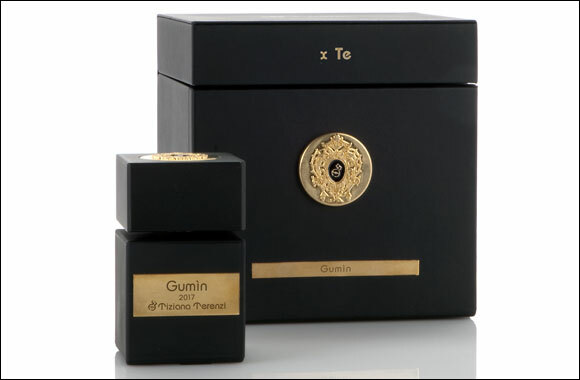 This extrait originates from the creativity of Grandpa Gumìn and is dedicated to Donna Luigia, his beloved wife. With it, he wished to celebrate the woman who founded Cereria Terenzi with him in 1968 and in it he described the wonder of her powerful, sweet and strong personality in an essence as unique as she was! Bigia, as Grandpa lovingly called her, was able to inspire everyone with strength, tranquility and trust in life, she had the gift of making anyone near to her feel safe because she had a heart of gold and a generosity that are not of this world. Today Bigia Anniversaries, based on a classic family recipe, explores new boundaries with the inclusion of innovative molecules and takes a step towards the artistic reappraisal of a timeless classic. Saffron rests on a base of white oud macerated for 20 years with Bulgarian rose absolute, to give the creation a magical, sensual and extraordinarily long-lasting touch. Precious ambers follow each other with the fruity notes of our beautiful Italy, enveloped in wild flower heart notes. This fragrance is dedicated to Guglielmo, the founder and pillar of our artisan perfumery, which from generation to generation continues his journey in search of wonder. The most noble and timeless fragrance of the collection. The most magical and powerful essence in the reverberation of his memory. A perfume that speaks of glittering love, of reassuring tenderness, of a joyful eve that preannounces the greatest celebration in the world: that of life. An extract dedicated to those who like to distinguish themselves with style that is understated but clear-cut, unique but elegant, powerful but not egocentric. A perfume that opens with rich harmonies of citrus fruits from the sunniest of Italian orchards. Mandarin and bergamot thus blend with Sicilian oranges lending a subtle freshness to the timeless elegance, because beauty derives not from fashion but from style. The citrus notes lie on a base of sweet fruits, like pineapple and lovely and sweet-scented flowers like jasmine, violet and rose, strongly reverberated by the unique force of amber. The stylistic construction gracefully rests on a powerful base note of precious woods such as sandal and white oud sweetened and emphasized by the vertical depth of Musk.